That reaction, though, undersells what technological marvels the presidential Animatronics, especially the one of Walt Disney’s hero Abraham Lincoln, really were. The original Lincoln model was created in 1964, years before the invention of the microprocessor or modern programming languages, and yet it managed to execute a series of extremely complicated movements, including rising from a seated position, that could be recreated perfectly dozens of times a day. How did Disney and his Imagineers pull it off? That’s the subject of a new column by Casey Johnston on Ars Technica, exploring the science of Disney’s Animatronics, from their genesis in a mechanical birdcage that Disney saw and purchased so that he could take it home and see how it worked, to the later refinements developed after his death. 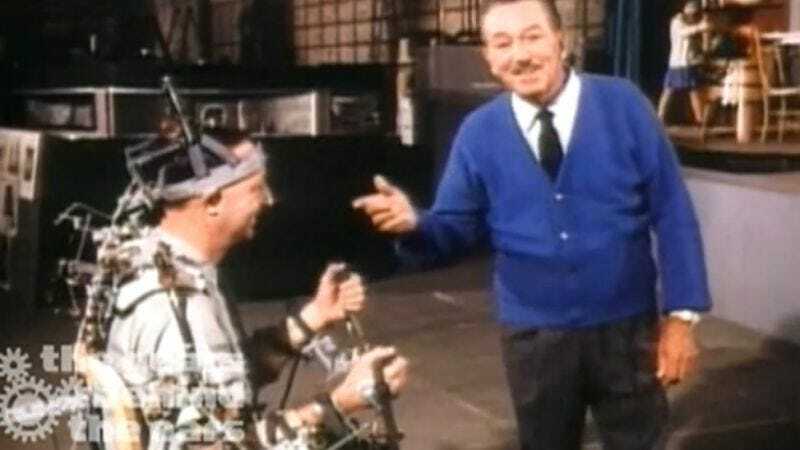 Much of the discussion is of audio-based Animatronics, which use specific tones to trigger voltage changes in the servos controlling the models, as well as the bizarre image of Disney Imagineers strapped into full-body metal rigs designed to capture their movements for later use. In the modern era, Animatronics are quaint and obsolete, relegated to jokes or the occasional use as a special effect. Johnston’s column is a reminder of when these mechanical marvels were the state of the art, the product of brilliant people putting forth all their efforts to bring animation into the real world to recreate life in the most realistic way they could imagine.